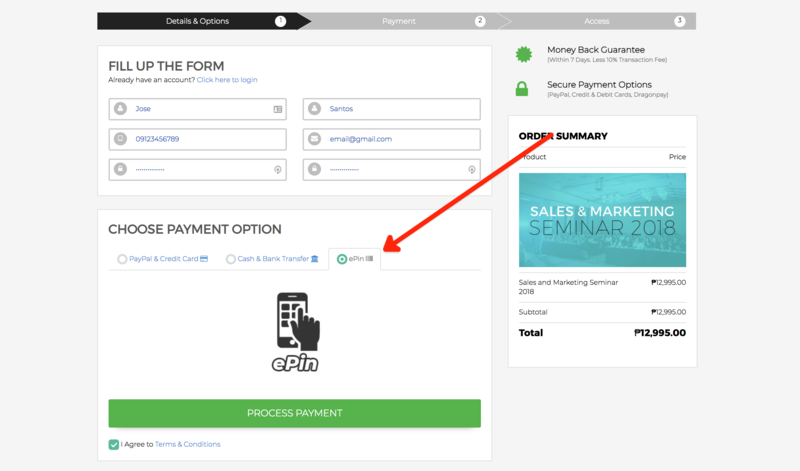 STEP 1: On the checkout page, Choose ePin as your payment option. Then click the Process Payment button. 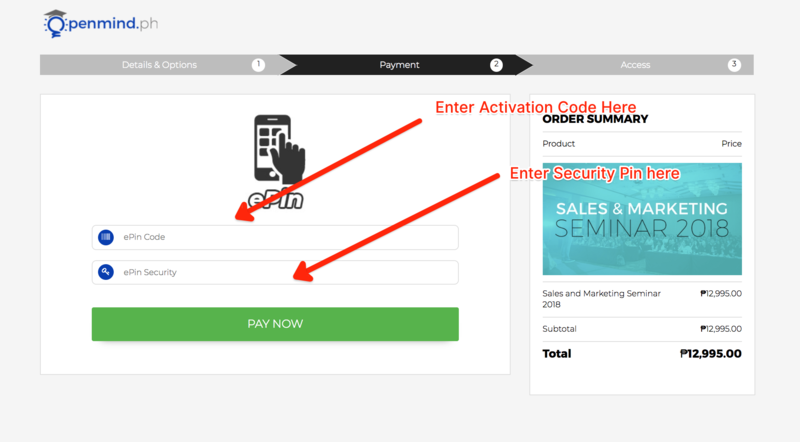 STEP 2: Enter the Activation Code and Security Pin that you receive in your email or from one of our authorized ePin sellers. Then click the Pay Now button. You will have immediate access to the product right after following this payment process.